The magazine explores food from a gay perspective. 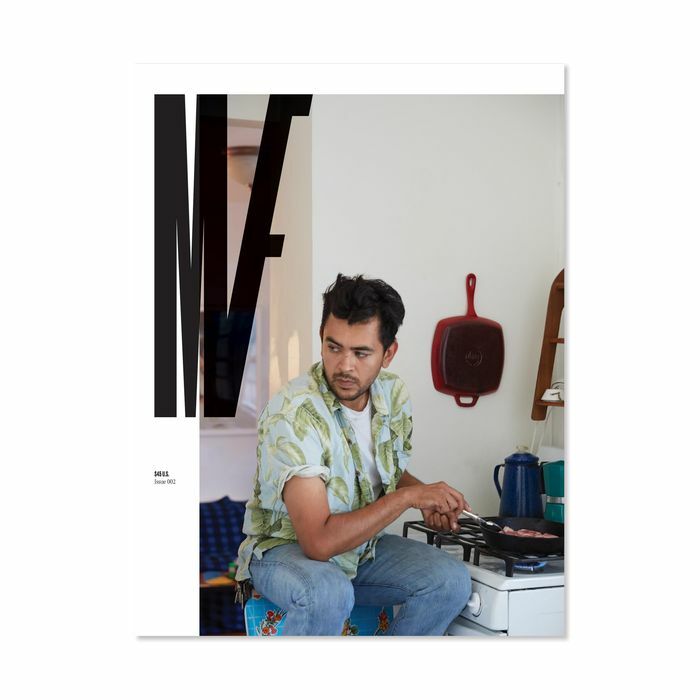 The second issue of Mouthfeel, a biannual magazine that explores food from a gay perspective, is on sale now, featuring a cover story on El Rey’s Gerardo Gonzalez (who recently earned a rave review from Times critic Pete Wells). There are also features on Dante Fried Chicken in Los Angeles, drag queen and “culinary connoisseur” Juanita More, and San Francisco–based Humphry Slocombe Ice Cream’s Jake Godby. The magazine, which retails for $45, is available at New York’s Printed Matter, L’Imprimerie Bakery, and Coming Soon, as well as online. Mouthfeel, which launched in April, actually isn’t the only food magazine focused on gay men, but it is indeed the first of its kind. Jarry Mag, started in July, has a similar thesis to explore where food and gay culture intersect.